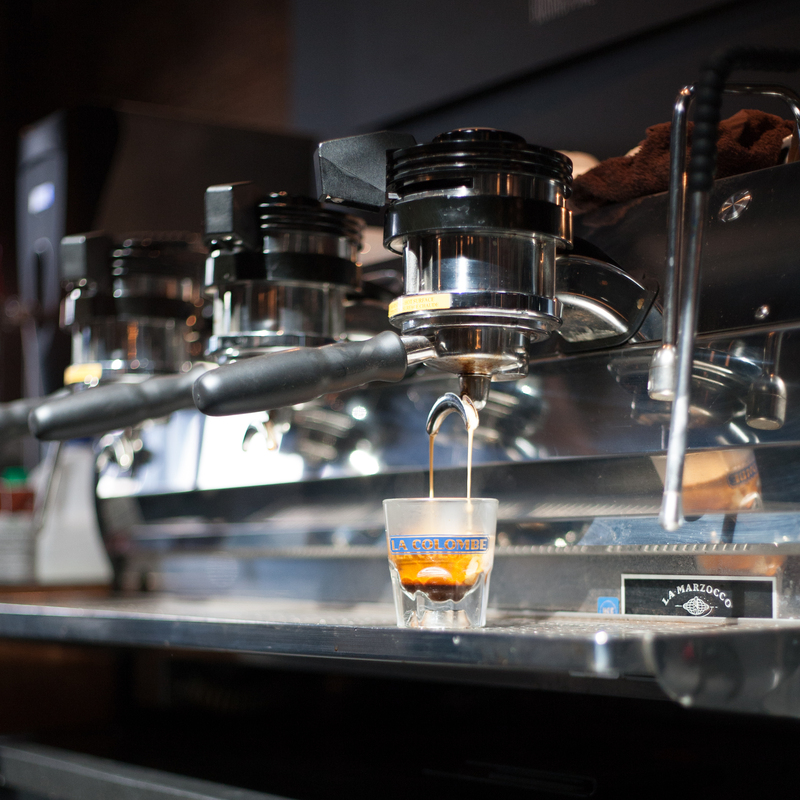 This might surprise you, but, technically, any coffee can be an espresso. There aren’t special espresso coffee beans or anything like that. The word “espresso” simply refers to the way the coffee is prepared. A small amount of hot water is forced through finely ground coffee, resulting in an espresso, which is smaller and more viscous than a regular cup of coffee. Espresso has a higher concentration of dissolved solids, or TDS, which you can read more about here. Many people think that espresso is made with a special kind of coffee, and it’s true, there are coffees roasted with espresso brewing in mind. But in a pinch, you can use any coffee to make espresso, and, as long as it’s “dialed-in” correctly, it can still taste great. We’ll talk more about how to dial in espresso in a later post. In the meantime, shoot any questions you might have to social@lacolombe.net. How can I make syrupy espresso like @ La Colombe w/ my Gaggia Classic??? You might need to use more coffee or less water, or use a finer grind! Those are the main ways to thicken up your espresso. Is the equipment I have from relatives (with a compartment on top that they flipped over at some point (in sterling silver or a China or an Italian ceramic)) a true type of espresso maker? It seems so different from the Rok espresso maker.